There are many stories and legends about strange things happening in mountains all around the world. A majestic and isolated quality makes mountains seem like the ideal place for weird and creepy things to happen, especially if they are located far away from civilization. Here are some scary and bizarre mysteries that happened in the mountains and were never explained or solved. The Black Mountain in Australia has a barren surface made of a strange black rock which is not found in the area. 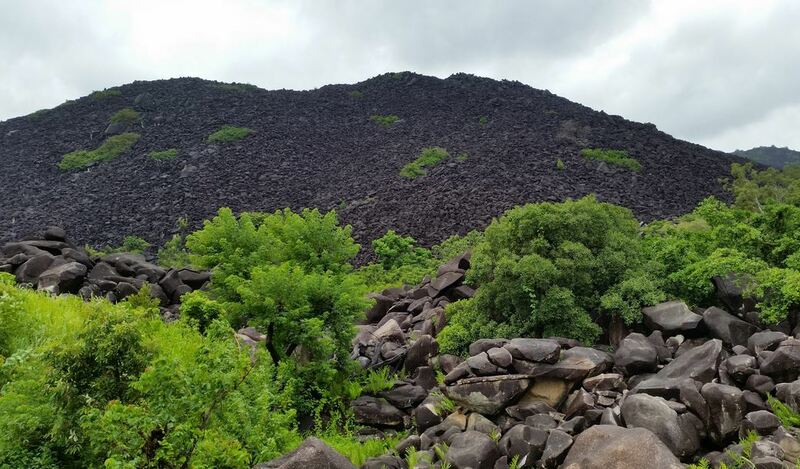 Locals call it the Mountain of Death and it is said that the place is completely evil. When fog appears around it, people claim that explorers will disappear and will never be found again. The legend says that mysterious shapes and figures move around the mountain, as well as ghosts of medicine men. Animals are terrified of the area and locals believe that there are underground caves which hide something otherworldly. The story of Treasure Mountain in Colorado says that the mountain got its name from an expedition sent by Napoleon in the 1700s. The explorers found a large hoard of gold but were confronted by native people. In an attempt to escape, they hid the treasure in the mountain but most men were killed. One man escaped with his life and revealed that the gold was hidden in the mountain. The man described the location in detail, however, the gold was never found. Lykaion is found in Greece and a terrifying legend surrounds the mountain. Many people believe that animals were sacrificed on the mountain for Zeus, the god of the sky. According to legend, a boy was sacrificed on the mountain many years ago. Recently, explorers found a skeleton on Lykaion. It was three thousand years old and the size of a child. Experts concluded that the skeleton was discovered in the same location where the gruesome sacrifice was performed.